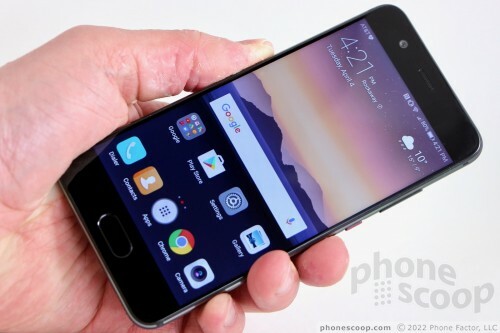 Huawei's mid-sized flagship handset is the P10, a slim Android smartphone that boasts a unibody metal chassis. The P10's hardware impresses, and the phone's core performance ranks with the best. Huawei encountered some software demons when creating the P10's user interface, however, that prevent the P10 from realizing its full potential. 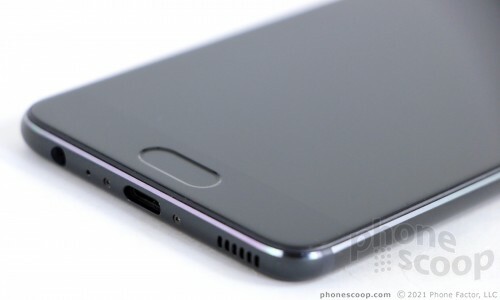 Here is Phone Scoop's in-depth review. The P10 is Huawei's mid-sized flagship handset that combines an attractive design with solid specs and performance. 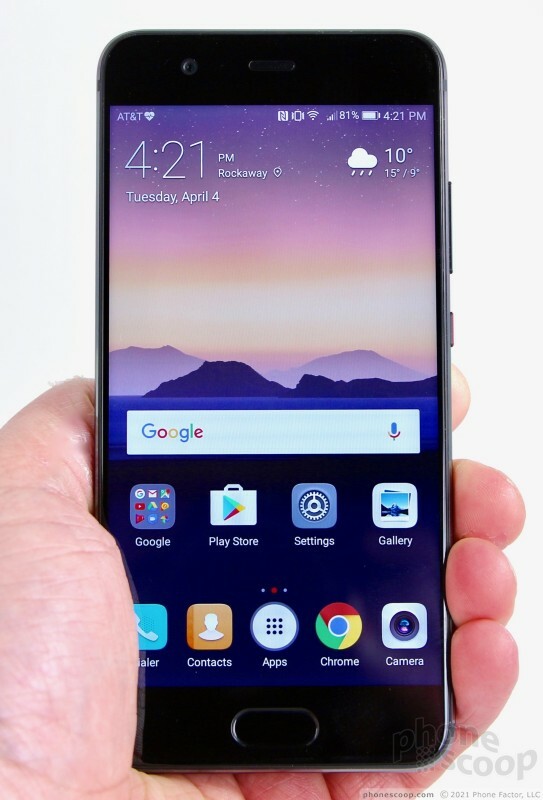 Since Huawei isn't (yet) selling the phone directly to U.S. consumers, it makes the most sense for those who want an unlocked smartphone that's a bit off the beaten path. You've seen the Huawei P10 before and you'll probably see it again. It's a compact smartphone that strongly resembles the Apple iPhone and HTC A9 thanks to generic corners and rounded edges. 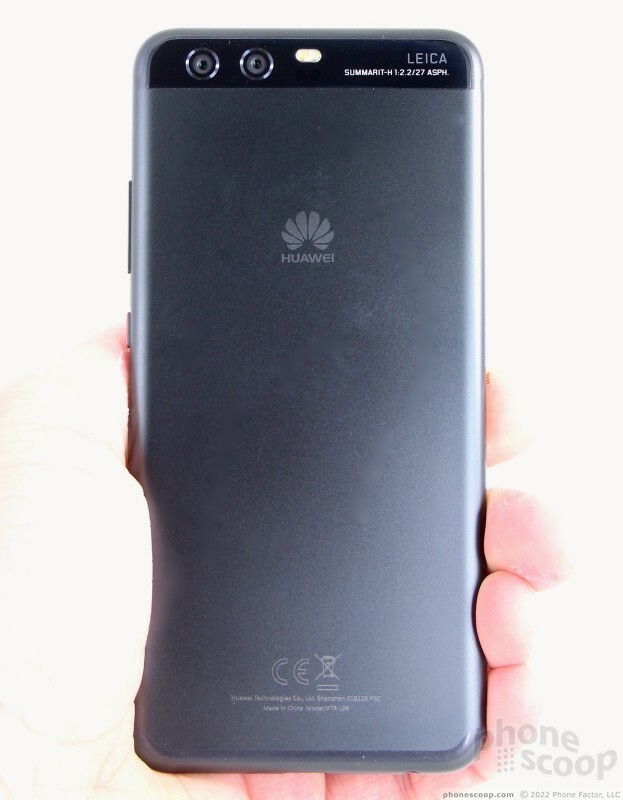 Despite its familiar appearance, Huawei did a fine job assembling a quality piece of hardware that's pleasing to use. The P10 relies on a unibody aluminum chassis that forms the entire rear panel of the phone and side edges. The front panel glass sits within the chassis. 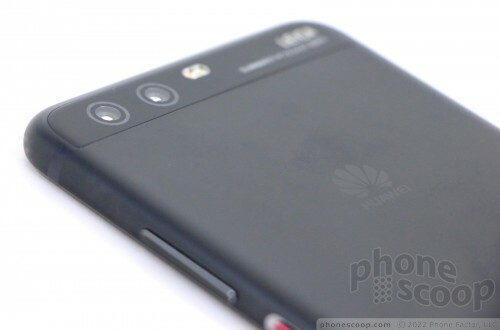 I've always liked this style of design and Huawei pulls it off well. 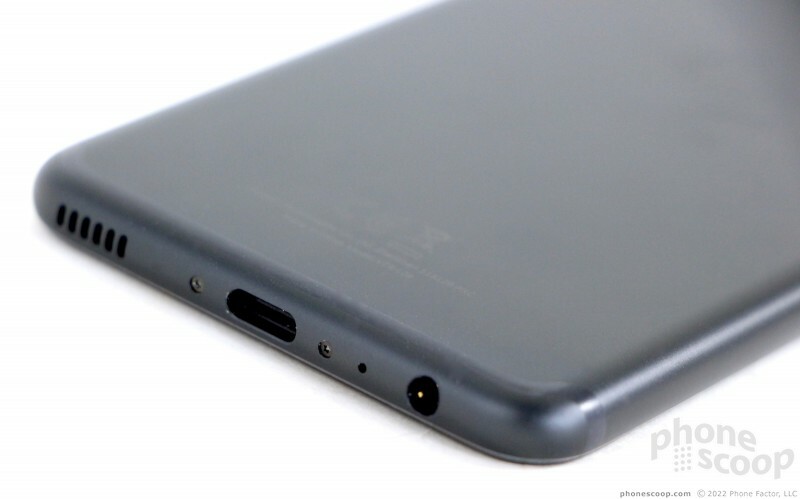 The front of the metal frame has a nice chamfered edge to it, and the rounded side edges flow into the rear panel perfectly. One of the major selling points of the P10 is the wide variety of colors Huawei is offering. Our review unit is an incredibly boring black. If you're seeking a bit more individuality, perhaps opt for the green, blue, white, gold, silver, or rose gold colors. The white model has a ceramic finish, while others have what Huawei calls "sandblasted" paint and yet others have a ridged textured paint. The green and blue are my faves. One reason to pick the P10 over other flagships? The size. Where many of today's top-of-the-line models are ginormous slabs, the P10 is refreshingly svelte. 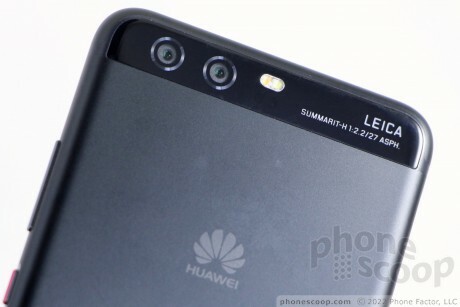 The phone's smaller, 5.1-inch screen allowed Huawei to keep the dimensions tight. I found the phone easy to use one-handed and my thumb was able to reach the entire screen comfortably. Truly, if you abhor monstrous handsets, the P10 is one of the most usable devices I've picked up in recent memory. Pockets, pouches, purses, and packs are no problem for the P10. 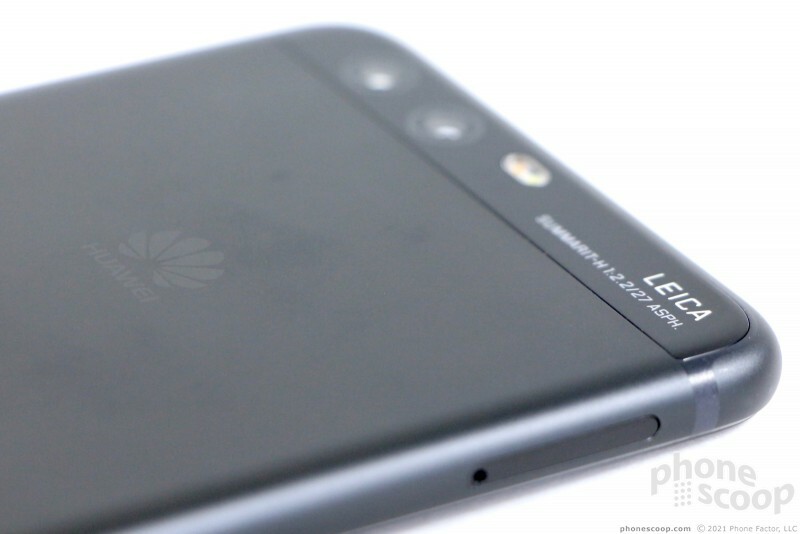 Huawei did a great job picking high-grade metal and glass materials and putting them together tightly. The P10 may not necessarily dazzle in the way the new LG G6 and Samsung Galaxy S8 do, but it's a fine phone all the same. The aluminum chassis is strong and sturdy, while the glass is polished and fitted into the frame perfectly. I'm very happy with the way the components are assembled. The P10 is a classy piece of bit of kit that impresses all around. The phone's front face is fairly typical for a modern handset. The bezels are a wee bit bigger than I'd like them to be, particularly above and below the display. Atop the screen you'll easily spot the user-facing camera and earpiece, which is covered by a color-matched metal grille. 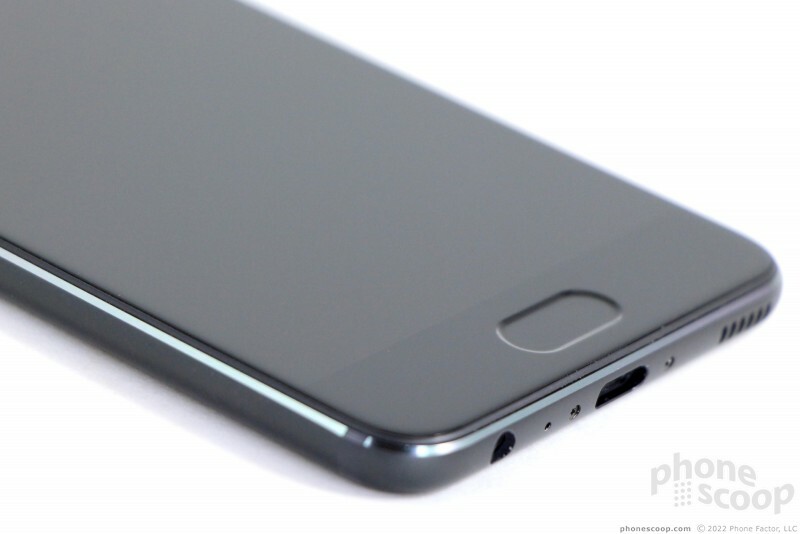 A fingerprint reader and capacitive home button is the only design element in the bezel below the display. 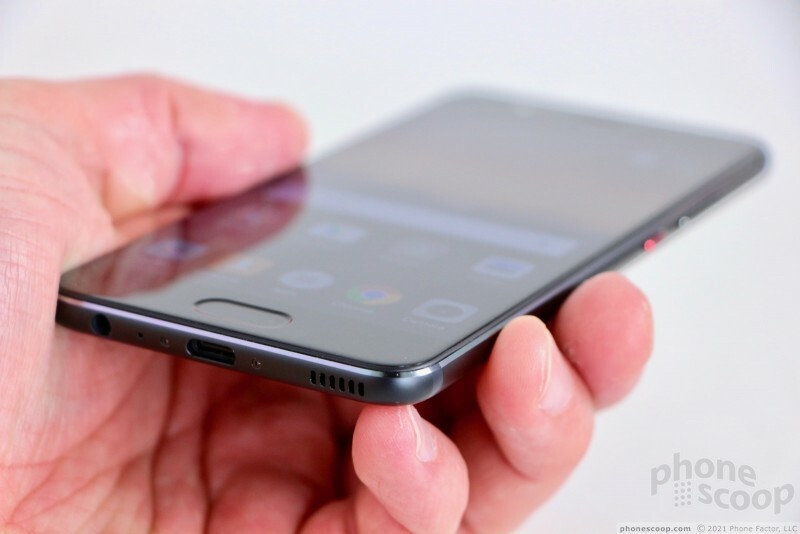 The button represents a bit of a break with Huawei's traditional design, which is to place the fingerprint reader on the back of the phone. 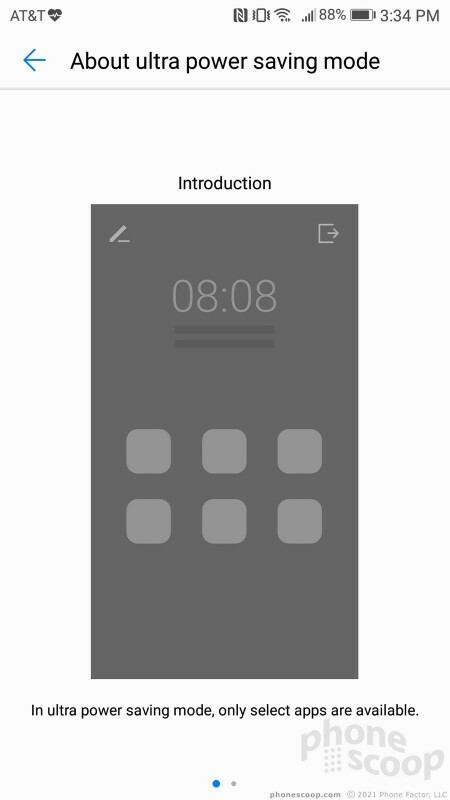 In addition to serving as the home key, the button acts as back and multitasking buttons via swiping gestures. It's rather a lot to ask from a single button and Huawei's software isn't entirely up to the task (more on this later.) The transition between the indented fingerprint reader and the surrounding glass is among the smoothest I've encountered. The thin outer edges of the phone host all the functional keys and ports you're used to. The screen lock button is on the right edge. It has a great profile, a textured finished, and a red accent to help call it out. This button works perfectly. 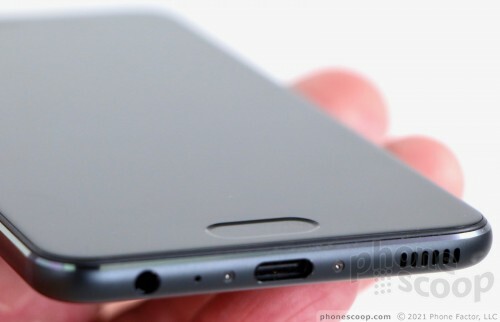 The volume toggle, perched just above the screen lock button, is a long button with a smooth profile. It works very well, too, and offers excellent travel and feedback. 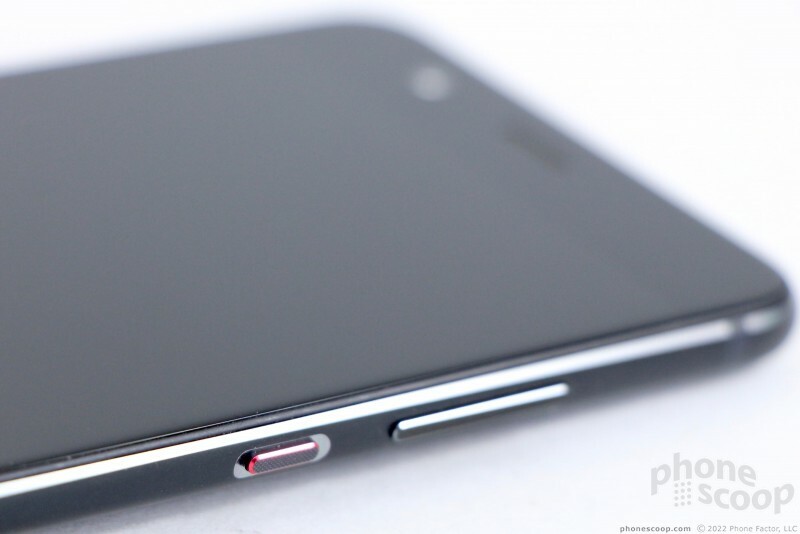 You'll find the SIM card tray on the P10's left edge. The tray can accommodate one SIM card and one microSD memory card, or two SIM cards. I had no trouble using the tray. Handset makers have adopted a fairly uniform arrangement for the bottom edge of their phones, and the P10's doesn't tread new ground. 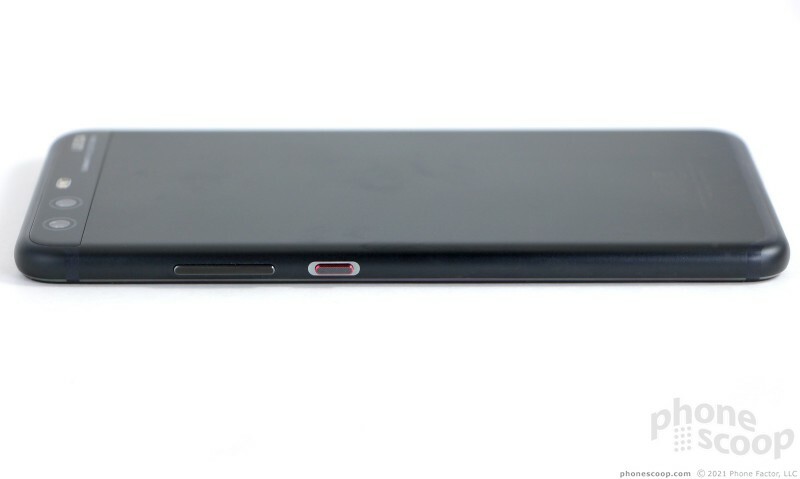 A USB-C port is centered in the bottom edge. 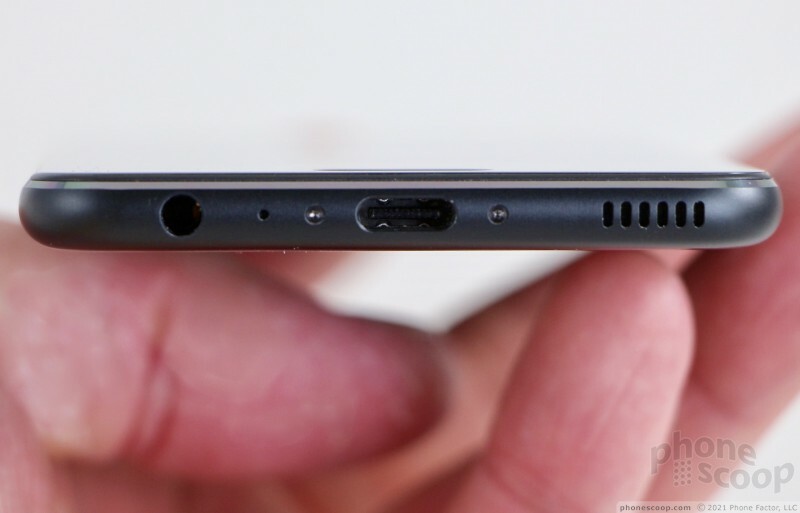 Huawei installed a 3.5mm stereo headphone jack to the left of the port and slits for the speakerphone to the right of the port. Everything functions as it should. The rear panel is mostly metal with a glass panel tucked up against the top. 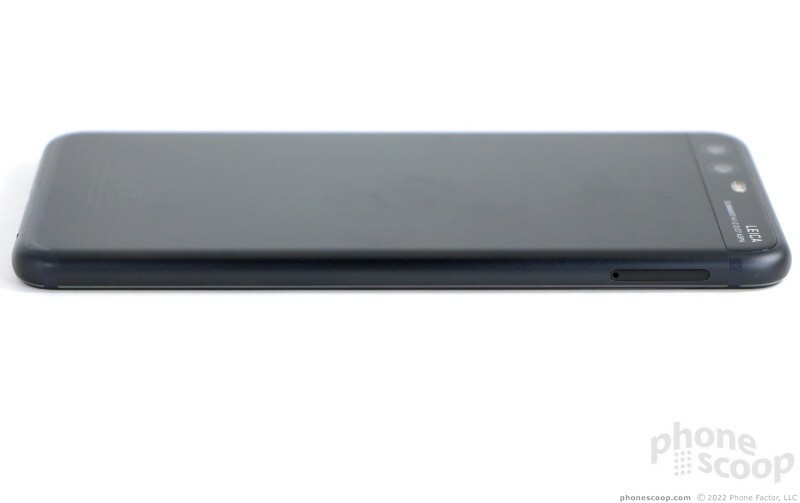 I appreciate the perfectly flat rear surface, as this makes the phone easier to use with it is placed on a table or desk. 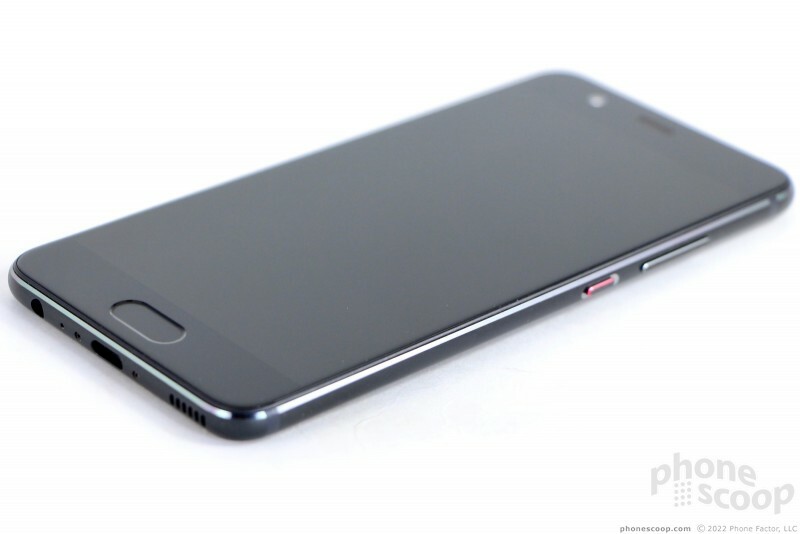 Similar to the Huawei-made Nexus 6P, the P10 features a large glass-covered camera module. 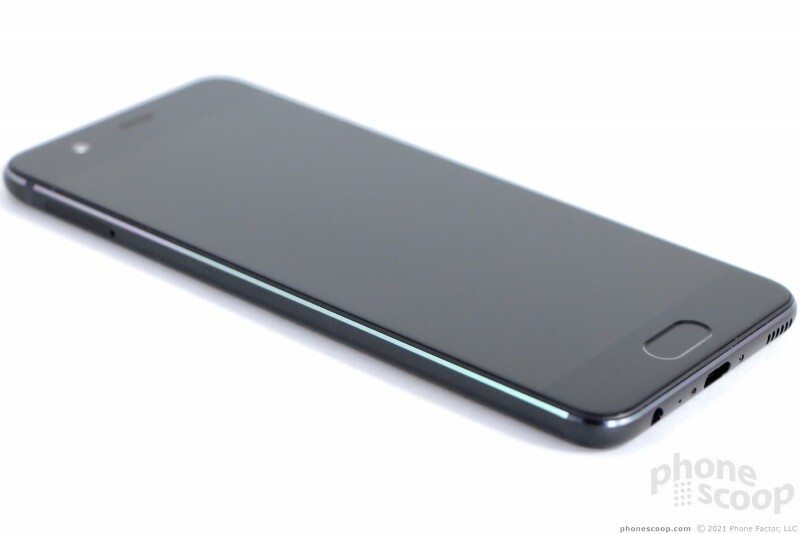 The glass, which stretches from side to side, holds the dual cameras and two-tone LED flash. 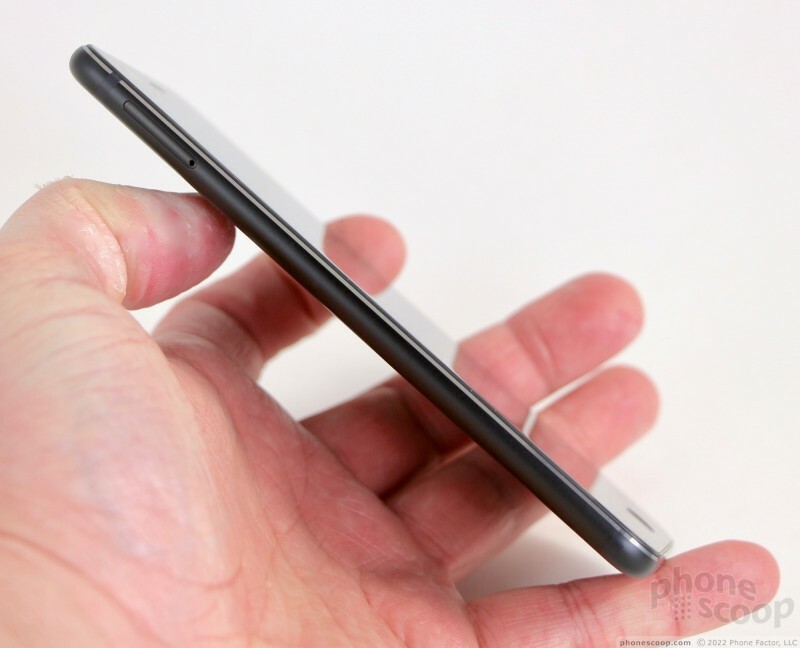 Huawei did a fine job fitting the glass into the metal chassis; the seams are tight and smooth. The glass also helps add some personality to what would otherwise be a rather plain backside. Of course, the metal chassis means the battery is inaccessible. Moreover, the phone isn't waterproof. (The larger P10 Plus has a basic IPX3 rating for light rain, but that's it.) That's a bummer when you consider the growing number of waterproof flagships hitting the market. The P10's simplicity is its greatest strength. 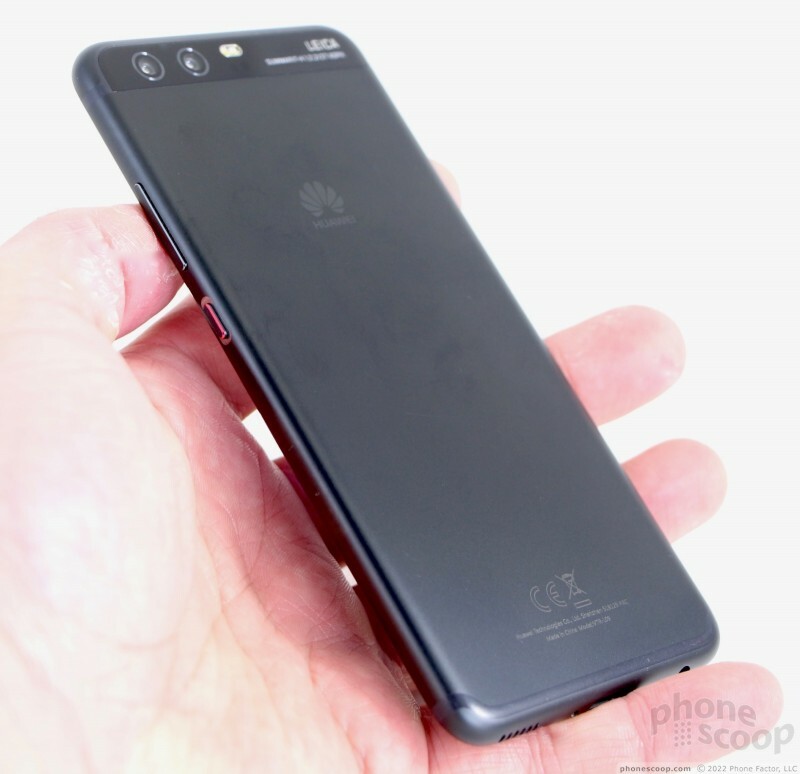 It may lean toward a me-too, vanilla design, and yet Huawei did a fine job crafting a classy, well-made piece of hardware that should appeal to plenty. 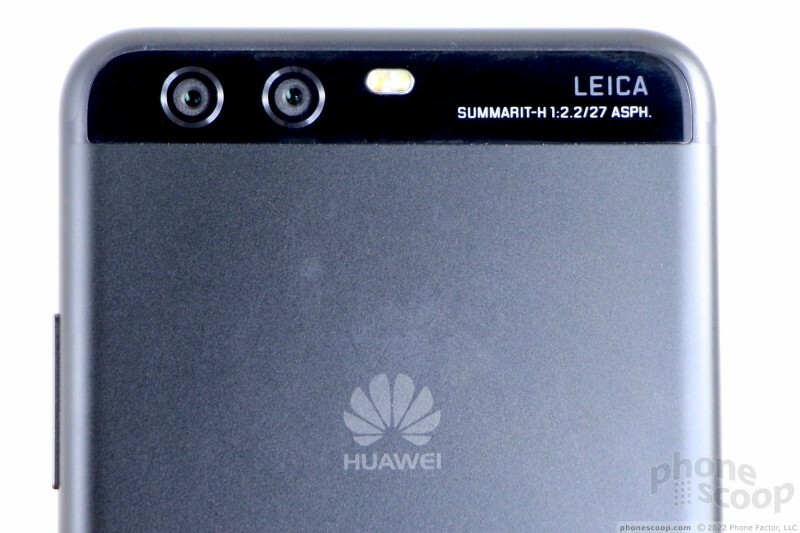 Huawei opted for a 5.1-inch, full HD panel for the P10. As far as smartphone screens go, the size and resolution make for sharp text, smooth icons, and completely invisible pixels. I have no complaints about the clarity of the display. It's an LCD panel, and brightness is excellent. The screen puts out plenty of light, viewing angles are quite good, and colors are accurate. The display has one near-fatal flaw; Huawei didn't give it an oleophobic coating, which means it attracts fingerprints and grime as though it were paid to do so. The gross grease doesn't impact indoor viewability, but outdoor visibility is really poor. I had to set the screen to max brightness and tilt the phone to find an angle not obscured by fingerprints. This is a puzzling and disappointing oversight. Huawei sells the P10 unlocked and it supports the LTE networks of AT&T/Cricket and T-Mobile/MetroPCS (including band 29, but not bands 30 and 66.) I was able to test the phone on AT&T's LTE network in New York and New Jersey and found it performed on par with most phones. 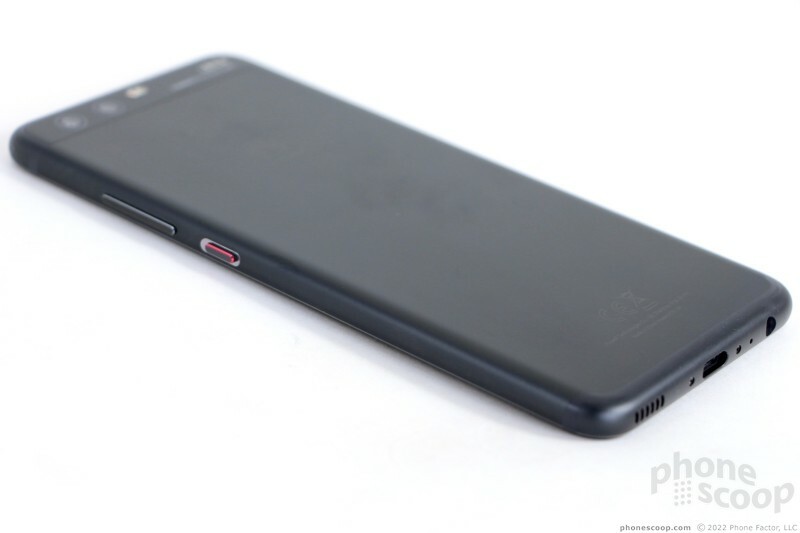 The P10 connected the majority of calls on the first dial. It dropped one call at highway speeds, but didn't miss any calls. Data speeds were good enough for the things I wanted to do. The phone worked well when surfing the web, checking social networks, staying on top of email, and downloading apps. I experienced a small amount of buffering when streaming music and video over LTE, but it wasn't bad. The P10 is a fine voice phone. Regular calls made via the earpiece sounded very good. Clarity, in particular, impressed me; there was no background noise or distortion of any kind. Voices come through the earpiece with warmth, and the little speaker pushes enough air so calls are audible most anywhere. I was able to hear calls in the car, in coffee shops, in city streets, and over the din of screaming kids. The speakerphone is almost as good. The speaker is more prone to distortion when the volume is cranked, and, even at maximum volume, the speakerphone is hard to hear in noisy spaces. People I spoke to through the P10 said I sounded "far away." Ringers and alerts are decent, but not the loudest I've heard. I was generally able to hear the phone throughout my house as long as the volume was cranked up. The vibrate alert isn't strong enough. I was able to feel calls when the phone was in my pants pocket, but not when the phone was in my coat pocket. 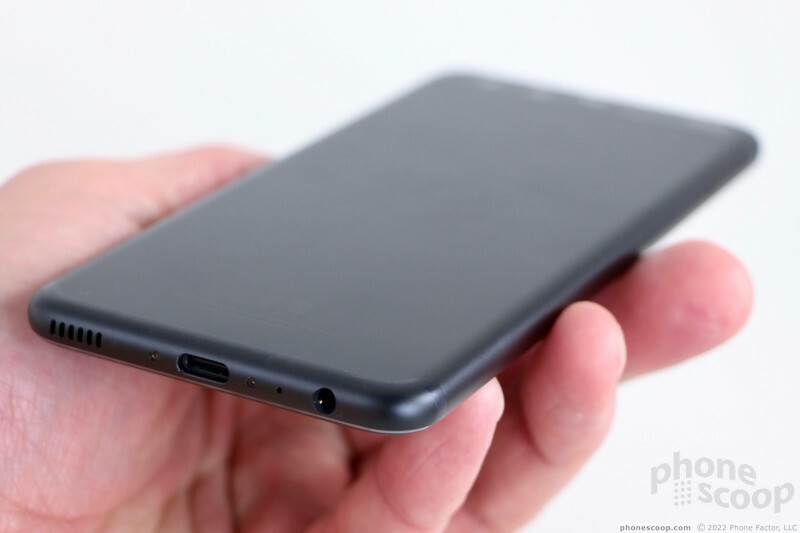 Huawei somehow jammed a 3,200 mAh battery into the P10's slim frame. 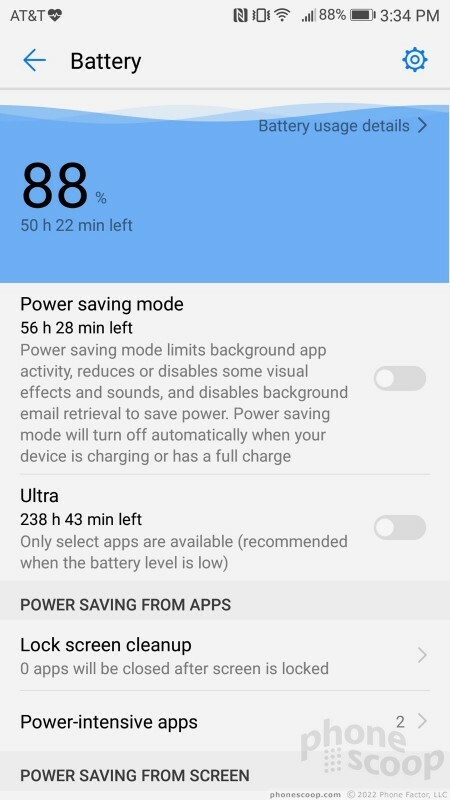 To say that battery life is impressive would be an understatement. The P10 cruises through a full day easily, and often has enough juice to get through more than half a second day. The phone consistently pushed from breakfast one day to mid-afternoon the next. Few phones offer this much uptime. The P10 is a battery champ. The P10 includes an extensive array of battery-saving tools. For example, the phone can be set to run in three separate power modes: standard, power-saver, and ultra power-saver. 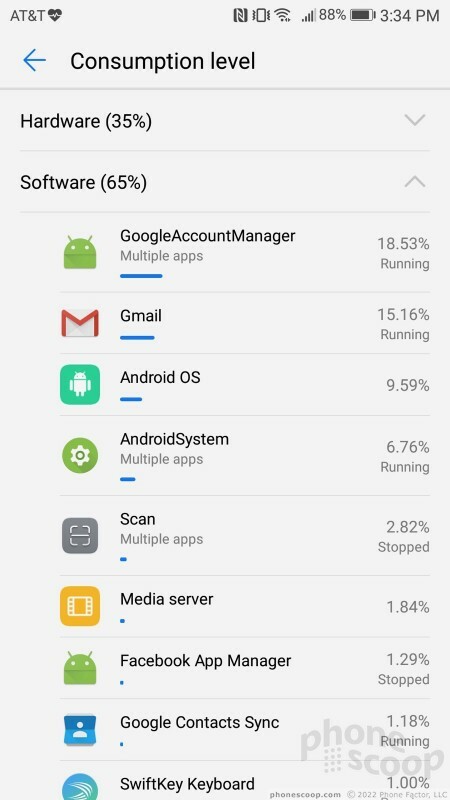 The phone also offers lots of analytical tools so you can see exactly which apps are draining your battery and learn how to manage them. These options are nice to have, but you're not going to need them. Last, the P10 supports rapid charging (but not wireless charging). 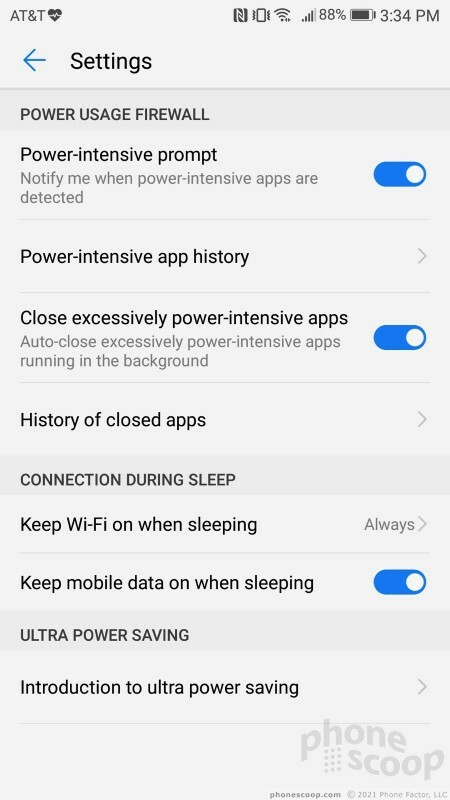 Huawei claims the battery can jump about 35% if you plug the phone in for just 20 minutes. I didn't run into any issues using the P10's ancillary radios. Bluetooth, for example, paired and connected with a variety of devices including phones, PCs, speakers, and headsets. Phone calls sent through my car's hands-free system were so-so, but calls patched via headphones sounded very good. Music pushed to a pair of Bluetooth headphones wasn't as clear or punchy as I would have liked. The NFC radio made pairing with some accessories a snap, and the P10 supports Android Pay if you care to use it. As a navigation tool, the P10 performed as well as any other phone on the market. The GPS radio pinpointed me quickly and to within about 25 feet most of the time. It coordinated with Google Maps and worked fine when put to use for voice-guided, point-to-point directions. The P10's WiFi radio did its job.